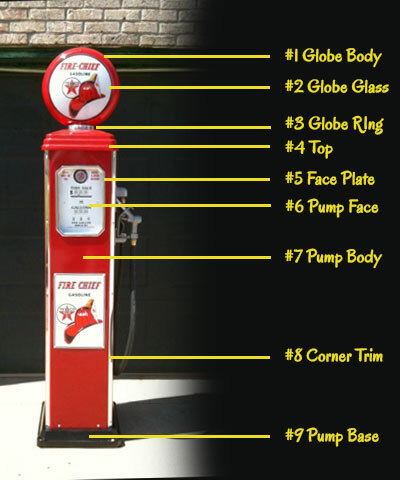 Our custom built retro gas pumps are a must have for your den, garage, shop, or business. These vintage gas pumps make great companion pieces for restored automobiles. 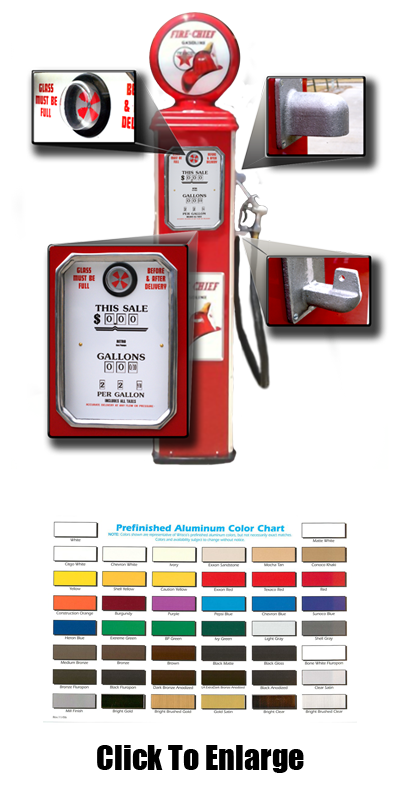 All of our retro gas pumps are full size and are guaranteed to impress. View our links below to learn more. All of the aluminum parts used on our retro gas pumps are cast using the original pump parts as patterns. These parts are all manufactured at an aluminum foundry in the USA. 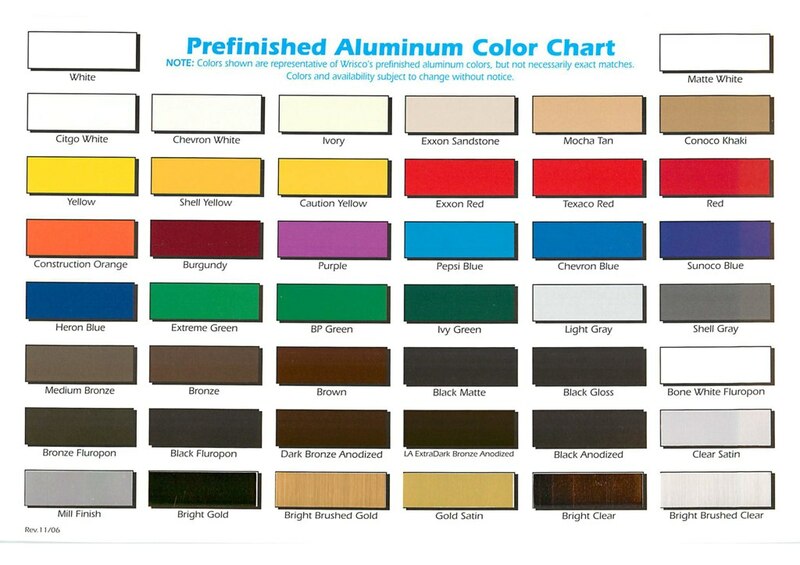 The body panels are made of pre-colored .040 sheet aluminum, the same material used to make gas station awnings. We shear, bend & cut all the holes in house to produce each pump. The faces, both the clock face and calculator type, are printed on high quality vinyl. We put real clock hands and screws in place along with a simulated sight glass which is seated in a rubber grommet. This assembly mounts on the face frame with an acrylic lens. The top, base, retro gas pump handles & visible cylinder end caps are primed and professionally painted. The face frame and globe ring can be painted or polished to a bright finish depending on the customer wishes. The hose/nozzle fixtures are left in their original cast color just like on the original gas pumps. On the visible retro gas pumps, the globe on top lights up. On the regular pumps, the face plate lights up as well as the globe on top. One or two 40 watt max bulbs are used. An inline switch is installed into the 110 volt power cord. While these vintage gas pumps are used mostly indoors, they can be built for outdoor use for an additional minimal wiring fee. These vintage gas pumps are typically set along a wall and only have one face. As an option, a second Globe face & sign can be installed. The display glass in the globe at the top of the gas pump can be ordered with the logo of your choice. Or, we can use your logo to customize the globe. The back glass is frost allowing to highlight your logo. Most of our retro gas pumps are shipped by common carrier to your location. A vintage pump ships in 2 boxes with the pump base weighing 75 lbs and the top weighing 25 lbs. The visible top pump is larger and weighs 60 lbs. All Vintage pumps are shipped assembled. Remember a residential delivery will cost more and someone will need to be home to receive the vintage gas pump. Please call or email for an exact shipping cost or any other questions. Custom built Double Pumps, beer tap pumps & specialty pumps – While they have many of the same specifications, there are many other factors involved that effect the shipping costs. A regular pump has 60” tall side panels and is 84” from the floor to the top of the globe. The side panels can be cut shorter if ceiling height is a problem. The visible pump uses the same side panels and stands 112” to the top of the globe. No problem to shorten this one either. Weight on a face pump is approximately 50 lbs. While the visible weighs approximately 65 lbs. The maximum width at the base is 18” and the body is about 14” excluding any signs or the hose mounted on the sides. Depth is the same.